Unlike regular metal car keys that any hardware store can make for you, laser car cut keys are specially designed using advanced laser technology. Only highly-trained automotive locksmiths can duplicate a key with absolute precision using the right laser equipment. A laser cut car key has a thicker shank and fewer grooves than an ordinary key. Both shank and grooves affect how the key rotates in an automobile’s locking cylinder. Most of laser cut car keys feature a transponder chip that boosts car’s security. So, it must be programmed by professionals only. Why hire a pro laser cut car key locksmith? Laser cut car keys have special design elements like thick shanks and grooves, which require commercial-grade key cutting tools to make the best replacement keys. Laser cut car key duplication is a challenging process as special equipment are required to do so. This way, laser technology protects your cars in the world of rising auto thefts. 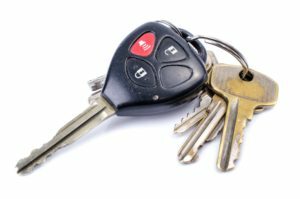 As an experienced and reputed automotive locksmith, we can provide you excellent laser cut car keys in El Paso round-the-clock. We understand the value of automobile’s security for our customers, and so, we invest in the high-end laser key cutting equipment only. Call us for prompt laser cut car key locksmith in El Paso. Hire us to originate, replicate and re-program all your laser cut car keys! We, at Mobile Locksmith Pros El Paso, pride ourselves in offering excellent customer services in the industry. We deal with all foreign and domestic car models, regardless of their brand and year of make. We assure that you’ll be impressed with the perfect precision of your replacement keys with your original one. We offer high-quality services at a very competitive price. We are available for local and mobile services. Upfront pricing guaranteed and no surprises in your cost! Except for honesty and professionalism every time, you deal with us. We’re available for security audits of your car’s locking system. Call us, and we’ll get back you on the wheel in no time. Are you looking to replace a stolen or lost laser cut car key? Let us help you! We fully understand the inspection process for locking cylinders. We can make proper laser cut car key replacement without requiring studying the grooves on the lost key. A broken laser cut car key? We’ll replace your broken car key without causing you any hassle. We follow a strategic process to remove the shaft out of a lock without damaging delicate parts of the locking cylinder. To fix the key stuck in a lock, we use our special tools to lift the broken key parts out of the cylinder. We have fully-equipped service vans to assure that our mobile locksmith can resolve any issue efficiently and promptly. 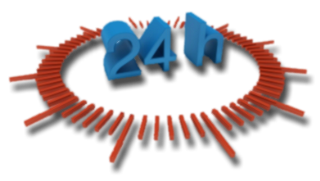 We are fast, reliable and 24X7 emergency automotive locksmith that can respond to your lock and key needs anytime of the day and night. The best part is that we don’t charge extra for odd night hours or weekend services! Get the same quality at the same price. No job is too big or too small for us. Leave your car in our hands with confidence. You’ll always be happy with our proven laser key cut services. We can provide quick automotive locksmith services for all your residential and commercial automobiles. Have you got a question about laser cut keys? Give our locksmith experts a call. Our locksmith experts will be pleased to answer your questions and discuss your options. We first evaluate your needs and accordingly, offer the best and affordable lock solution. Our super-fast response time and satisfactory customer services will surely amaze you. Reach our pros on call for your emergency residential or commercial locksmith needs. 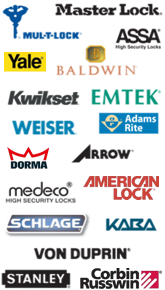 Schedule any laser cut keys replacement, repair or duplication service you need. 24/7 Full Service Mobile El Paso TX Locksmith for Residential, Automotive, Commercial and Emergency Locksmith needs. Laser Cut Car Keys Automotive Locksmith in El Paso http://locksmithelpasotexas.com/automotive-locksmith/laser-cut-car-keys/ 3.9/5 based upon 22 reviews.